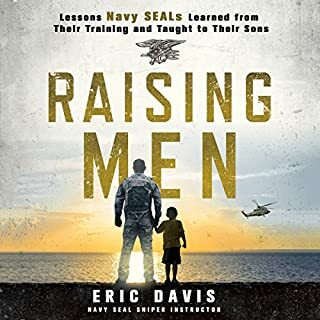 After Eric Davis spent over 16 years in the military, including a decade in the SEAL teams, his family was more than used to his absence on deployments and secret missions that could obscure his whereabouts for months at a time. Without a father figure in his own life since the age of 15, Eric was desperate to maintain the bonds he'd fought so hard to forge when his children were young - particularly with his son, Jason, because he knew how difficult it was to face the challenge of becoming a man on one's own. Amazing, insightful, funny and humbling. When I was growing up... Me and my brothers we merely managed. We weren't taught the principles of life (I now know why). In my current profession, a common saying is to meet the patient where they're at. Having prior combat knowledge, I can relate to these principles and apply them easily. Principles are principles and combat simply accelerates the learning curve. I hope if you're considering this book to take the time to not only read this book, but to slowly apply the concepts you read. Chances are - if you are considering this book, you strive to be excellent in everything you do. This is an investment for you and your family. I highly recommend this book from one father to another.